Our Christmas Cheer bouquet is an enchanting arrangement with festive winter berries, lush Rudolph Red Roses and snow white blossoms. The Christmas Cheer bouquet is dexterously arranged by our team of highly talented florists. Also included is a FREE box of fine Belgian Chocolates! 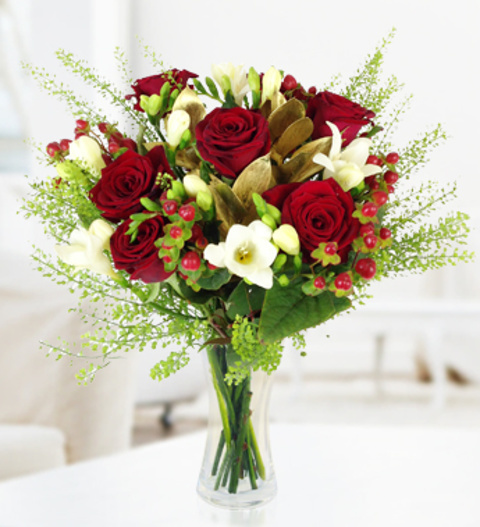 The Christmas cheer bouquet is the perfect bouquet to send this Christmas and is available for UK next day delivery. Chocolates may contain nuts.